We are Yosemite Fly fishing guides that serve the Yosemite National Park, and Yosemite wilderness with multi- day fly fishing adventures, full day or half days. 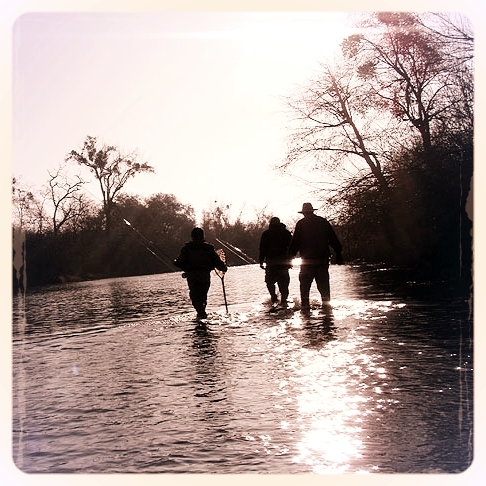 We fly fish the Merced river, Tuolumne river, Stanislaus river and the Mokulmne river. Fly fishing in Yosemite for all species of Yosemite resident trout, or bass. year round. We are passionate about guiding in Yosemite - fly fishing, hiking, majestic forests, and our surrounding waters! We explore and we fly fish because the little voice that we hear, drives us into the most beautiful destination locations that the Sierra Nevada mountain range has to offer. Discover beautiful Yosemite National Park, it's hiking trails, it's fly fishing on the Merced, and the mighty Tuolumne rivers; or the seemingly endless Stanislaus river. We have a deep rooted love for Yosemite and it's surrounding areas, but this is only out done by sharing that passion for fly fishing and hiking with others, and watching our clients catch a sunset, a fish, a memory, and a passion for the outdoors!